Get everyone on the same page, across any device—now including Windows laptops, desktop computers, and tablets (including Surface). 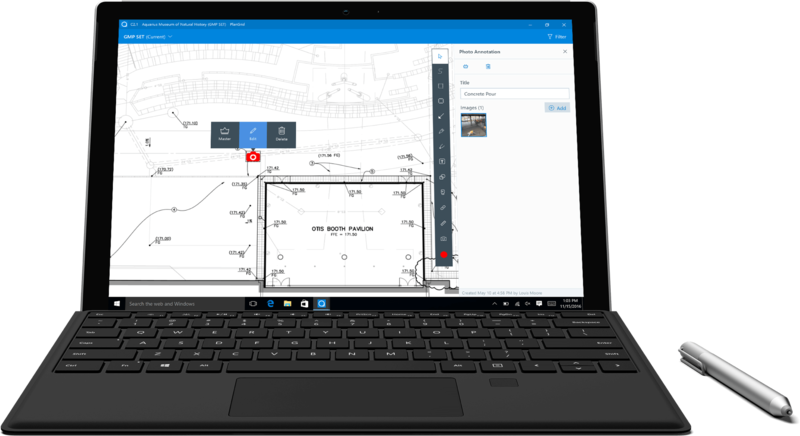 The PlanGrid tools you know and love—now on Windows. View, create, and share markups, photos, tasks, and hyperlinks. See multiple sheets side-by-side and view all documents or attachments. Access a full history of sheets, versions, planned work, and punch lists. Changes made offline will sync as soon as you’re within WiFi range.